This much sought after variety, Mara de Bois, is simply delicious! It combines the sweet, aromatic taste of a wild strawberry with the fruit size of a modern hybrid. The berries are a lovely deep red when ripe and just irresistible! Strawberry Mara de Bois crops over a long period too - May to September. 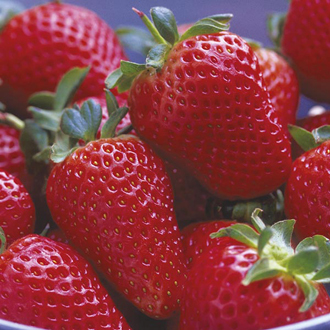 Our quality strawberry plants are produced from certified mother plants that are inspected and renewed annually. Prior to packing, the plants are checked and graded by hand ensuring that you receive the best quality plants guaranteed to produce the highest yields of flavoursome fruit. Plant 15-18in/40-45cm apart.